There are many drawbacks to deciding to refinance your car loan. 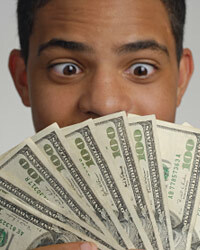 First, there are potential expenses associated with taking a new loan that can cut into the potential savings. Second, there may be credit repercussions. You should proceed with caution when refinancing for these reasons. However, there are a few scenarios when refinancing is a very good decision. Adjustable rate loans are unpredictable and costly when compared to fixed rate alternatives. Often, borrowers take adjustable rate loans because they do not initially qualify for a fixed rate loan. Some young borrowers take adjustable rate loans to additionally lessen the burden of the debt while their incomes are low. If you took an adjustable rate loan for either of these reasons, and your situation has changed, it is typically a good idea to refinance to a fixed rate. You will be able to lock in the price of your financing for the remainder of the active loan. You will also be able to control monthly payments, allowing for a more stable budget. Having a competitive loan means you could not find a better option today, if you resourced your loan options. A competitive loan has a rate in keeping with national averages for a person with your credit and financial history. Your loan can lose its competitive edge in two scenarios: your credit improved significantly or the national average dropped significantly. In both scenarios, significantly is the key word. A small change is not enough to validate refinancing the loan because the savings will not compensate for the drawbacks. Consider this option if your credit changed by 100 points or more or the national prime rate dropped a point or more. Consolidating debt can present unique advantages that are not present with refinancing alone. Consolidating allows you to settle portions of debt, reduce total monthly payments and eliminate some stress due to too much debt. Not everyone is a candidate for consolidating loans. This option should only be pursued if one or more of your loans is nearing default or no longer affordable. In that case, consolidating and refinancing as soon as possible is the best way to avoid potentially detrimental problems from the default. An upside down car loan is one where the total debt you owe on the car is far greater than the remaining value of the vehicle. This occurs most commonly with used car loans, but all car loans carry an innate threat of upside down debt. The value of a car drops fast and far the moment it is driven off the lot. It continues to drop with each mile driven. If you are not paying off your debt at an equally fast rate, you will end up with an asset worth only a fraction of your debt. Refinancing in order to get out of the upside down loan, either by increasing monthly payments or settling a portion of your debt, can lead to a more stable financial future.